The death of her beloved father has left Liesl helpless in the clutches of a very evil stepmother. Instead of forcing her to clean house Cinderella-style, though, Liesl’s stepmother keeps her locked in the attic Bertha Rochester-style. Surprising as it may seem, the luckiest day in Liesl’s young life is when a ghost named Po shows up in her attic bedroom. No longer male or female, the prickly Po befriends Liesl, and is able to give her information about her father on the Other Side, information that makes Liesl determined to take action to change her lot in life and her father’s lot in the afterlife. 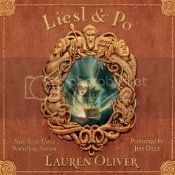 Lauren Oliver’s middle grade story Liesl & Po is very cute and sweet. Liesl and Po have an interesting friendship as they attempt to overcome the barrier between the living and the dead. Similarly charming is the ardent schoolboy crush that Will, the alchemist’s apprentice, has on Liesl. It may be slightly creepy that he watches through her window from the street, but before long it becomes clear that his is a noble (or at least shy and embarrassed) love. Perhaps the best thing about Liesl & Po, though, is that it failed to simply go exactly where I thought it would. Oliver kept the story fresh, and moving in new and more complex directions, which was both surprising and refreshing. Jim Dale’s adult women all sounded very mannish in Liesl & Po, but they were simply supporting characters, so it wasn’t really a problem. Overall his voices were relatively good, and he certainly made for an engaging listening experience. An enjoyable audiobook and a good palate cleanser. Recommended. Maybe I should try some middle grade fantasy so I can learn to enjoy the genre more. I read this book a little while ago and really enjoyed it. Quite a unique story and my niece loved it! I’ve been a huge middle-grade kick lately, this one sounds right up my alley! I can’t believe it, but I think I still have never listened to a book narrated by Jim Dale. I’m hoping that my girls will soon be interested in books like that. 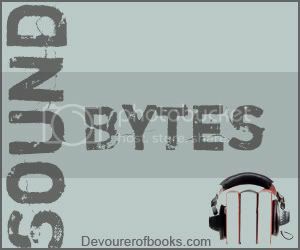 Audiobooks would be a nice departure from Radio Disney. I’m so glad Daniel hasn’t discovered Radio Disney yet. I really enjoyed this book, but I imagine Jim Dale reading it would be magical! Love the new meme, I’ll participate next week since I’ll be done with the audio book I’m listening to by then!